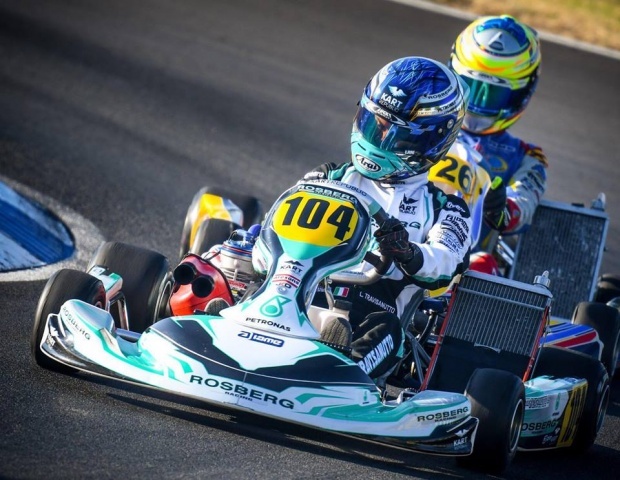 On the occasion of the Swedish Karting League's fourth round, Kristianstad hosted what competitors largely considered a preview of the World Championship scheduled in September. Lorenzo Travisanutto dominated this past weekend's event, sending a strong signal to rivals. After finishing the current OK European Championship as a front-runner, Lorenzo Travisanutto prepares himself for the last race of the CIK FIA season. The Italian's great competitiveness, on display to Ampfing, leaves no doubt as to the skills on track on 23 September. The top driver of Rosberg Racing completed the Swedish open race, dominating. A real offshoot of the World Championship, many protagonists were indeed present in Kristianstad over this past weekend. Given the result, and how well he did at the event, Travisanutto can feel confident. Competitive all weekend from the start, free practice, the Italian grabbed pole position of the group and three wins in the three heats available. Same outcome also for prefinal A and final, races he both dominated by a large margin, until the triumph. Travisanutto at the end of his weekend: «With the track I felt good, like in all these years that we have raced in Sweden. I think it is a track that goes well with my driving characteristics. I had already won in 2014 here with the Scuderia PCR and also last year I did very well. We naturally worked for the World mainly, above all to understand tire management and to work on the driving in every little detail. We will be back in Sweden again for some tests before the World Championship. We will try to improve ourselves in every aspect and get to the race with as few doubts as possible. The goal for this race, even more so after this trip, is only one. We are all focused and we know that we must put in a perfect race, but we also know that we have a truly winning package». Convincing words, Travisanutto's, one of the most accredited for the final success.